Part 6 of the MOONDUST VS DAZZLESHADOW battle! Once again I can’t tell these 2 apart. They’re both glittery antique golds. They’ve got a strong green shift and a more subtle red shift. 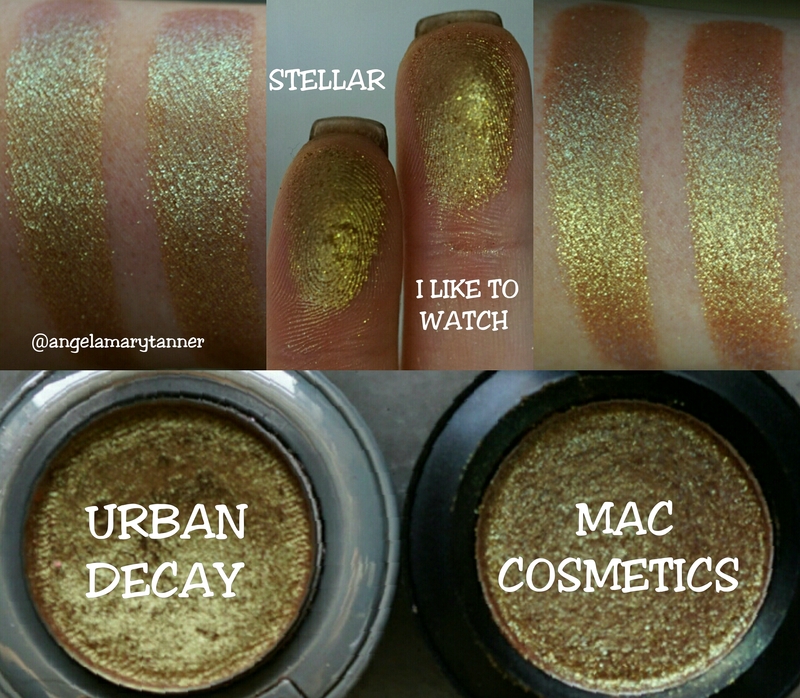 Also similar INGLOT 84 PIGMENT, OCC SLAG PIGMENT, UD STARGAZER MOONDUST SHADOW and MAC OLD GOLD PIGMENT. I’ve got a lot of eyeshadows this color too (and I compared them at one point) but they aren’t the same formula as the MOONDUST shadows.